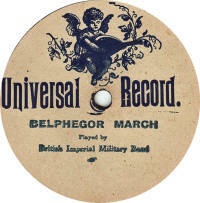 British 78rpm record labels whose name begins with U. Using the letter links below you can see pages for other letters. Unicorn A paste-over label dating from pre-WWI and extremely rare. They are paste-over labels; the example here is pasted over Coliseum No. 231, but as it is the only example I know of, I don't know if other record labels are to be found underneath other examples, nor what the reason for this is. Note that the label states it was made in Berlin, so it must be pre-WWI while this Coliseum issue was still in the catalogue. A puzzle! Please e-mail me with details of ANY of these records. 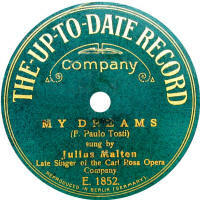 Thanks to Bill Dean-Myatt for providing the label photo. 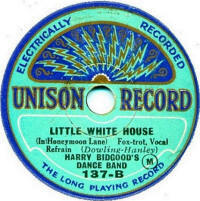 Unison Unison records were sold by the Co-Operative society ("The Co-Op") during the later half of the 1920s. 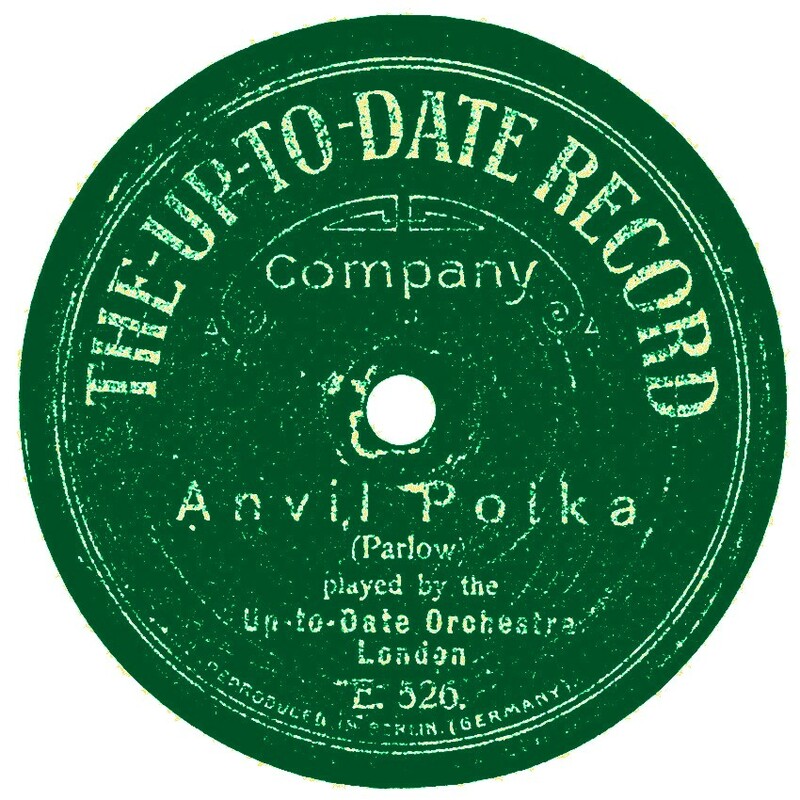 They were pressed by Vocalion and duplicate exactly their 8" and 9" Broadcast records, even to the pseudonyms (with only a couple of exceptions). 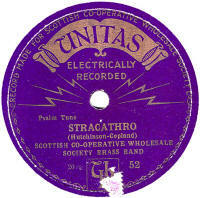 Unitas Dating from about 1929, these were made for the Scottish Co-Operative Wholesale Society Limited. 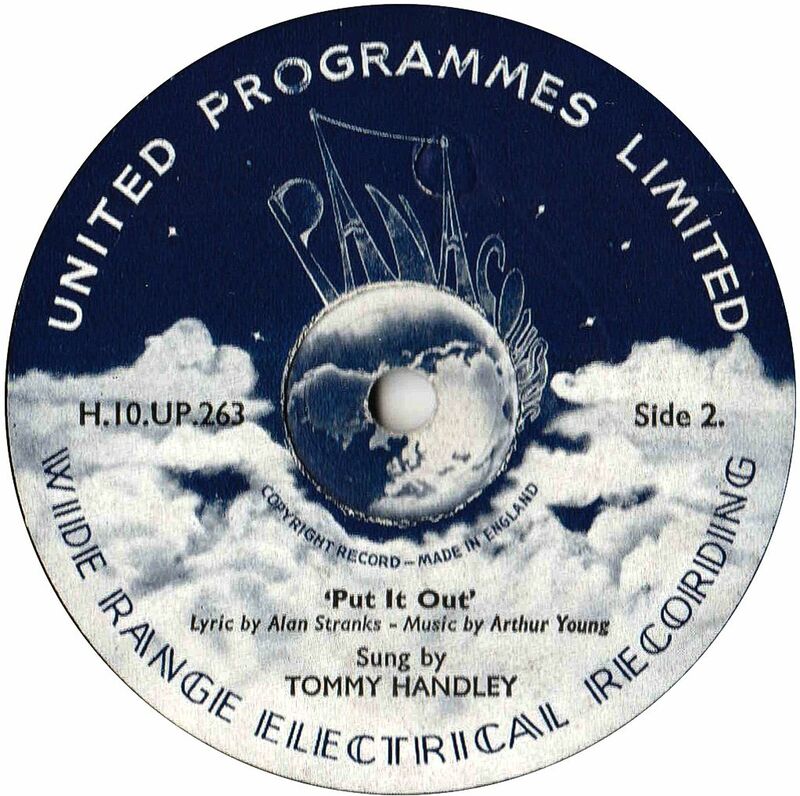 United Programmes My guess is that this record (and others on this label) are probably from the 1940s, maybe during WWII. 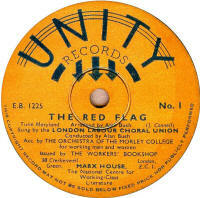 Unity Thanks to Bill Dean-Myatt for the label image. 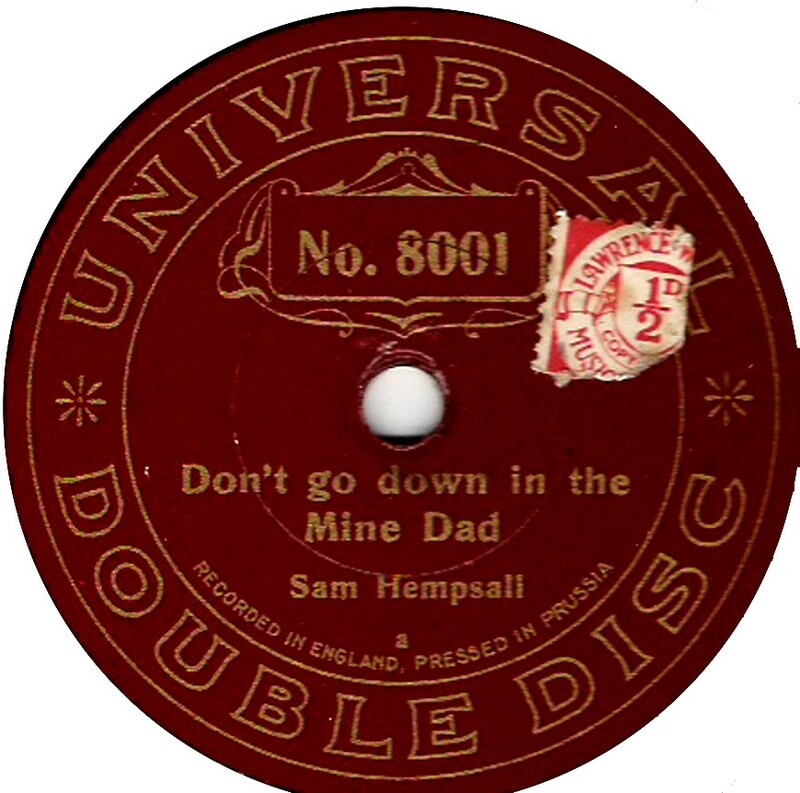 Universal There were three different records using this name. 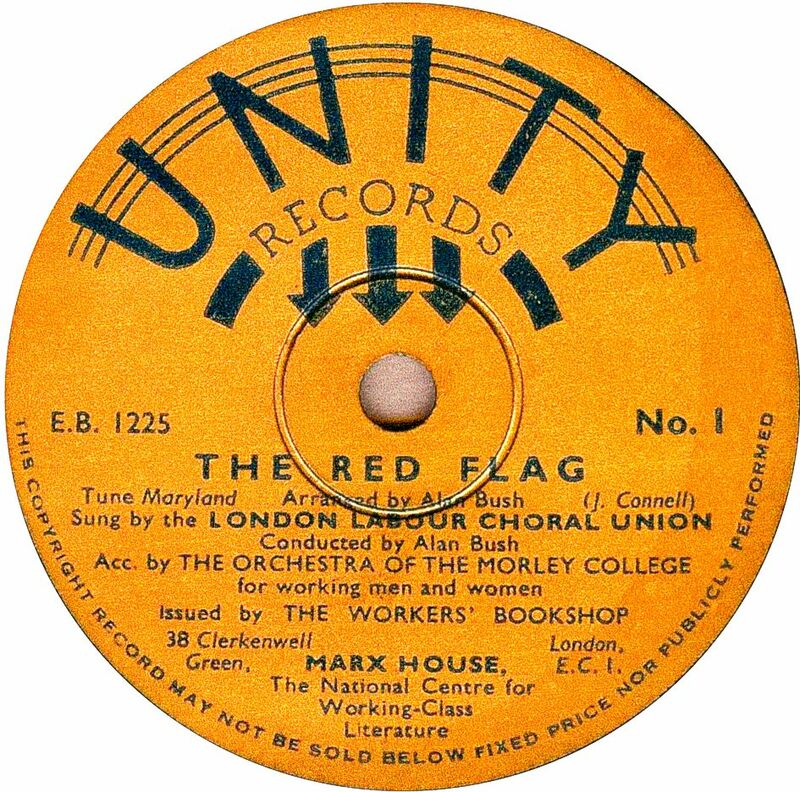 The first was made by the Disc Record company of Harrow for The Universal Record Co of London and it used Nicole masters (see first image). 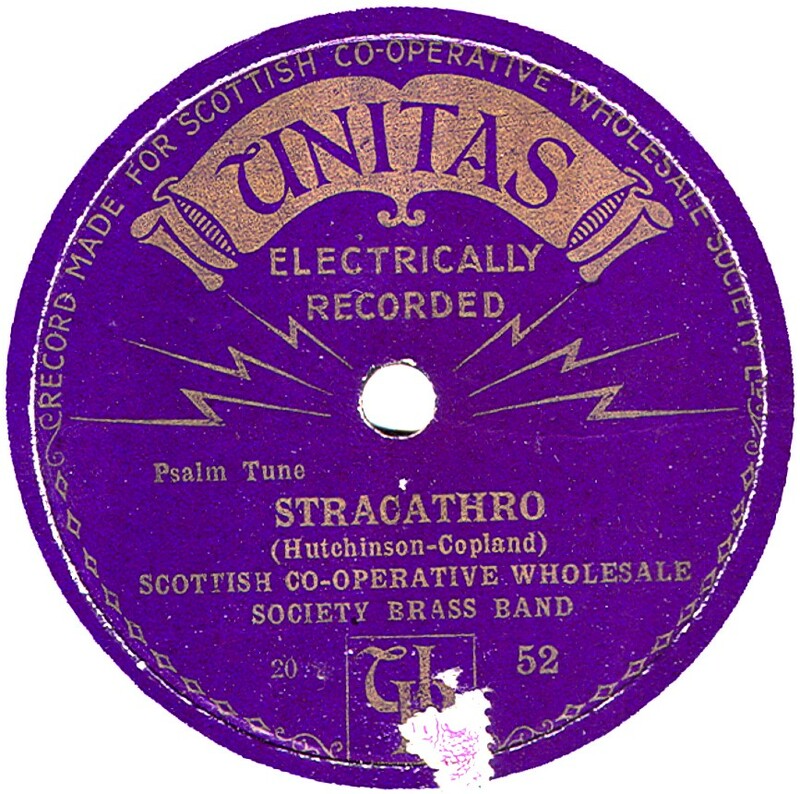 It was available in both 7" and 10" sizes, the 7" being made of the same sort of material as Nicole records and the 10" was of standard shellac. 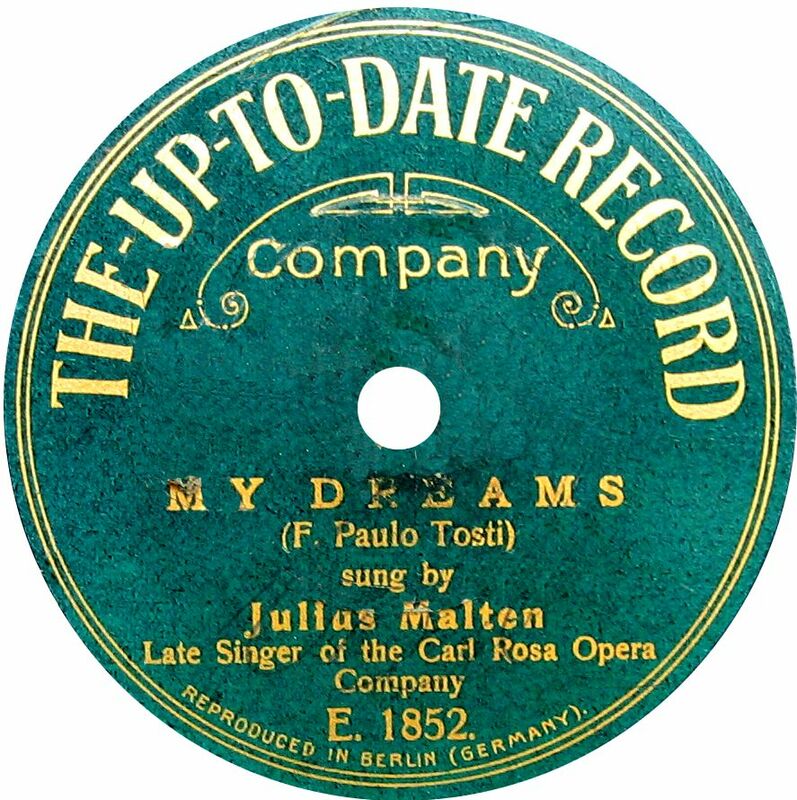 The record was launched in September 1913, but had disappeared by December of the same year, being replaced by Pelican records. Thanks to F. Finnigan of Holland for the 1st label image. 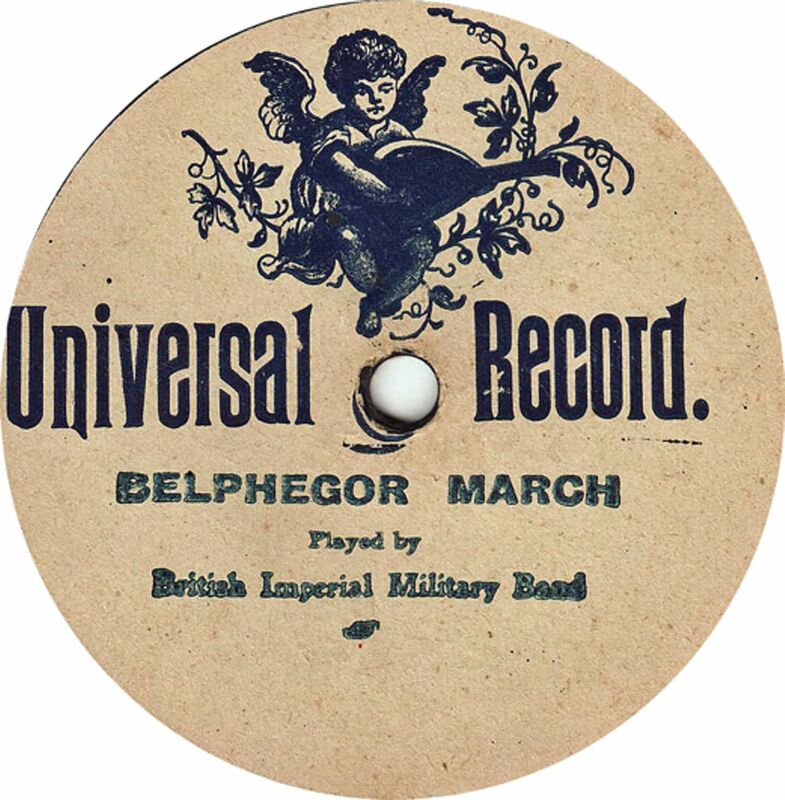 The second label, actually "Universal Double Disc" was manufactured by Homophon in Germany for the Australian market prior to WWI; sometimes the label is just a paste-over. The catalogue ran from 8000 to just over 8400. (See second image). Thanks to Adam Miller for providing the 2nd label image. 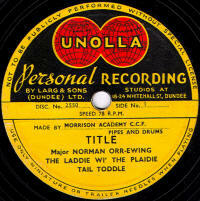 The third label, just "Universal Record", may only have been sold in Australia as well. Again, pressed by Homophon in Germany prior to WWI, it had a 2000- catalogue series (see third image). Thanks to Bill Dean-Myatt for providing the 3rd label image. 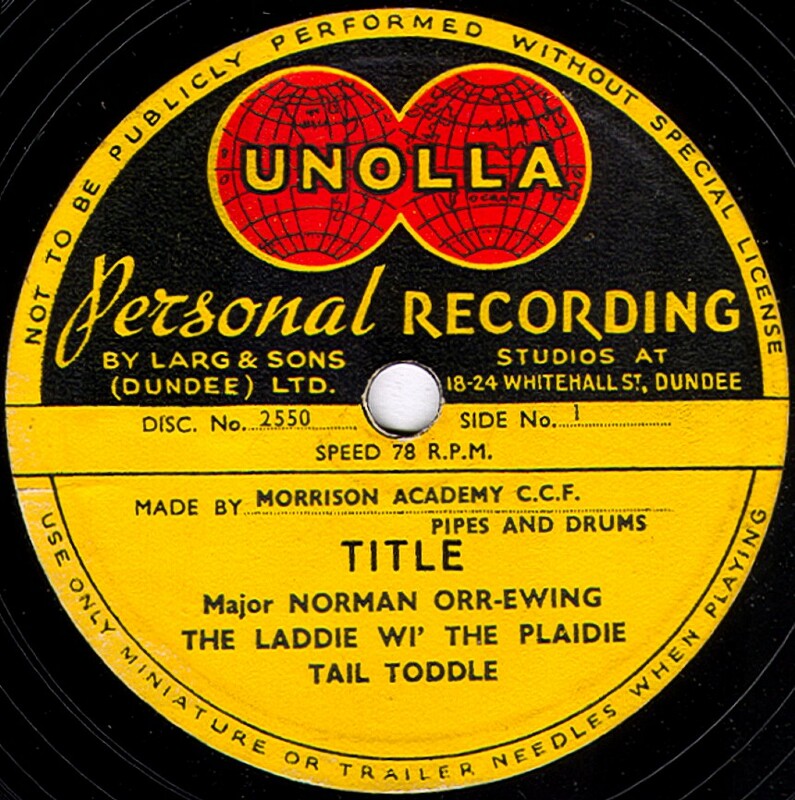 Unolla These are personal records dating from the early 1950s, recorded by Larg & Sons of Dundee. 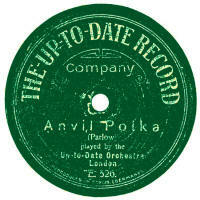 Up-To-Date This extemely rare label was a German-produced one from pre-WWI using Dacapo masters and with E-series side numbers (no catalogue numbers) which are also the master numbers. The reverse side of this one is E-539 Roses From The South (Strauss) by the same orchestra. These sides were also issued on Dacapo 25 & 23 respectively. 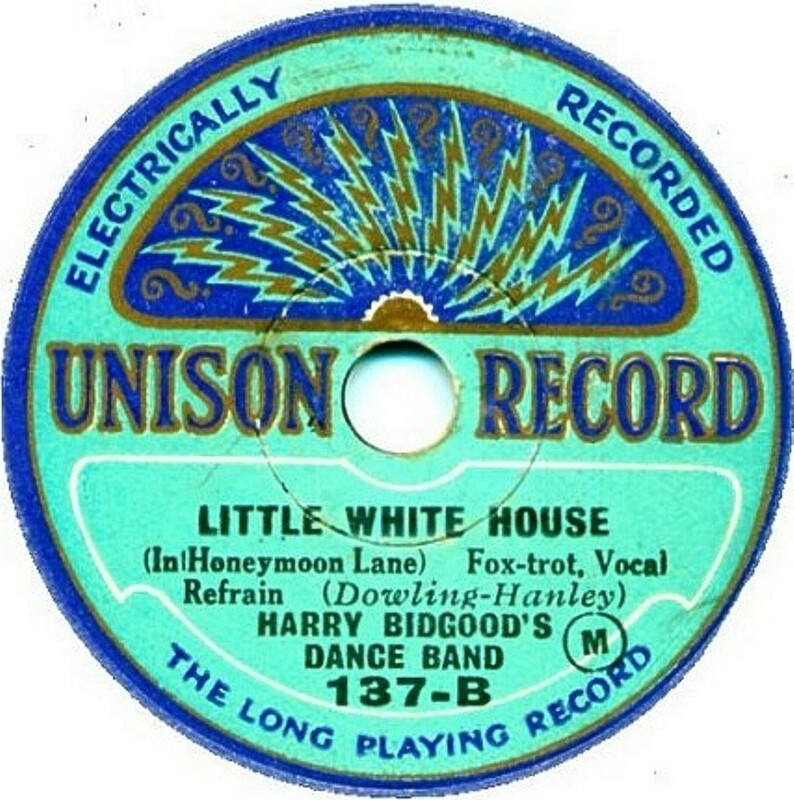 This seems to be the only example of this label reported, and that by Don Taylor in Australia. Maybe they are so scarce in England because it was produced for export only? Thanks to Bill Dean-Myatt for the second label image.